- Users that want to enjoy an amazing GPS and locator tracking app. 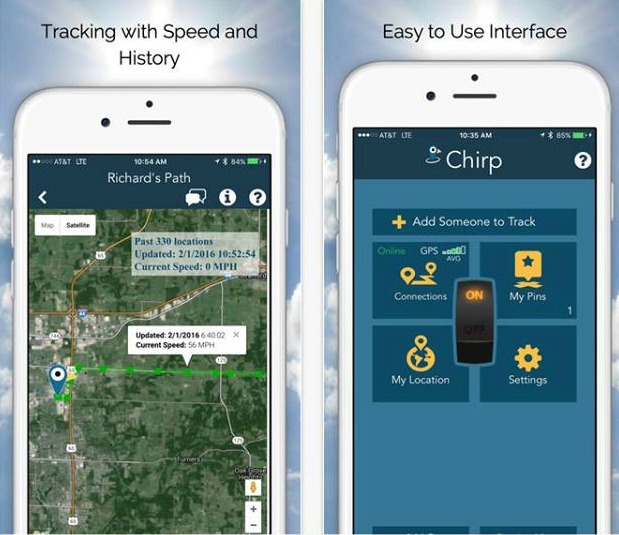 "I have been using Chirp for several months now, and I have found it to be a great way to keep track of my family as I travel quite a bit. We all have varied things and places where we have to be and many times we find ourselves in need of trying to locate the other. This has proven to be a great source of security that we hadn't really found in other apps. I recommend it highly. Customer Service is also very helpful and quick to respond when you have a question or any issue."